I visited New Orleans for an environmental conference, took advantage of the location and explored every chance I had. A pal of mine mentioned checking out the Spotted Cat, a music venue on Frenchman Street. The final night was unforgettable. I heard one of my favorite song played live for the first time. The Jumbo Shrimp Jazz Band performed “Tonight You Belong to Me” and I belted along from the audience. The song was originally written in 1926 by lyricist Billy Rose and composer Lee David. The versions I’m most familiar with are Patience and Prudence and the adorable scene with Steve Martin and Bernadette Peters in The Jerk. New Orleans is magical, inspiring, and super friendly. So much great music! Other musical highlights were Meschiya Lake & the Little Big Horns, and Aurora Nealand (who went to Oberlin College). Yesterday I was fortunate to record a new song at Earthquaker Devices with the rad pedals they let me try out. 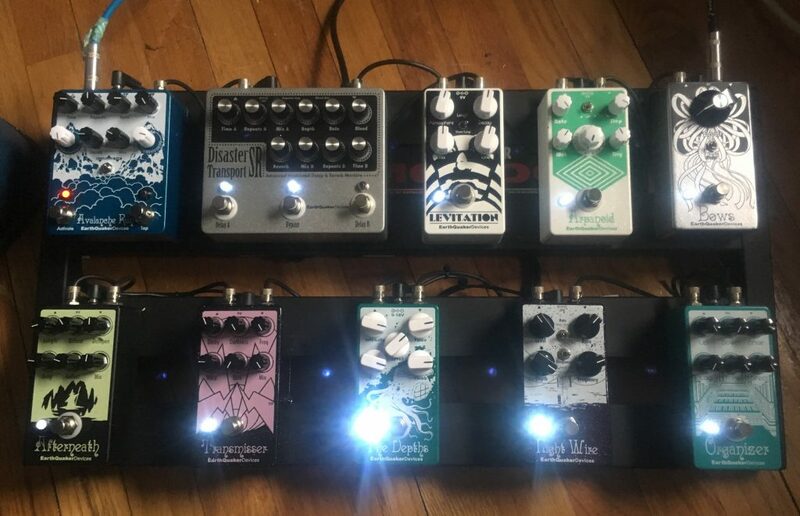 The pedals are magical and the staff is super talented and incredibly nice. Songs are pouring out of me now that I have these awesome new babies. I’ll share the song and video when its up!